Well it has done nothing but snow here in Boston these past three weeks. In fact we are up to about 70″, a new record for snow in one month. Of course such things makes me start thinking about the importance of various storms during the past. One of the most important was the storm that took place in March of 1776 and was significant as part of the Battle of Dorchester Heights. That battle was famous for convincing the British to evacuate Boston after General Howe looked up at the Heights on the morning of 3/6/1776 to see the Americans dug into the hill in a howling blizzard. From the description of the storm it becomes clear that it was what we would call a ‘nor’easter,’ so that was how I wrote it in Beside Turning Water, which will be out later this month. Excerpt of Beside Turning Water, Battle of Dorchester Heights. Like so many battles in history, the Americans were helped, by the atrocious weather. The storm probably came across North America from the west, hitting the cold moisture of the Mid-Atlantic coast, it pushed north toward cold Atlantic waters, gaining strength and moisture as it moved. By the time it hit New England, the north-easterly swirl of the winds caused it to be caught in the bays and harbors, blocking itself from moving quickly eastward or north and away. 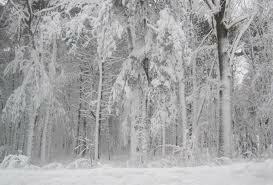 For hours, it battered the town and harbor reducing visibility to inches, and turning roads and fields to ice and mud. In Boston, it started in late morning as rain. By afternoon, the rain had turned to an icy mix, slowly turning to snow, sleet and rain in competing sheets. It battered the workers on the eastern slope with raging, incessant ocean gales, broken by stronger gusts, and icy rain. At the coast it brought high seas mixed with the abominably high tides of the March full moon, assuring that the British Marines headquartered just below Dorchester Heights, would be unable to make landfall without risking a watery, rocky death. The roar of the wind was such, that for the first time in days the cannonading from Phips Farm on the Cambridge side was muffled. Look for Beside Turning Water at Amazon, Barnes & Nobel or at the buy the book link on this page.